Univeristy of Borås releases today another report in the Vetenskap för profession (Science for professions). This time it is an anthology with a selection of paper and presentation from the jubilee conference celebrating Swedish School of Library and Information Science 40 years. The papers and presentations present the current research in Nordic Library and Information Science. 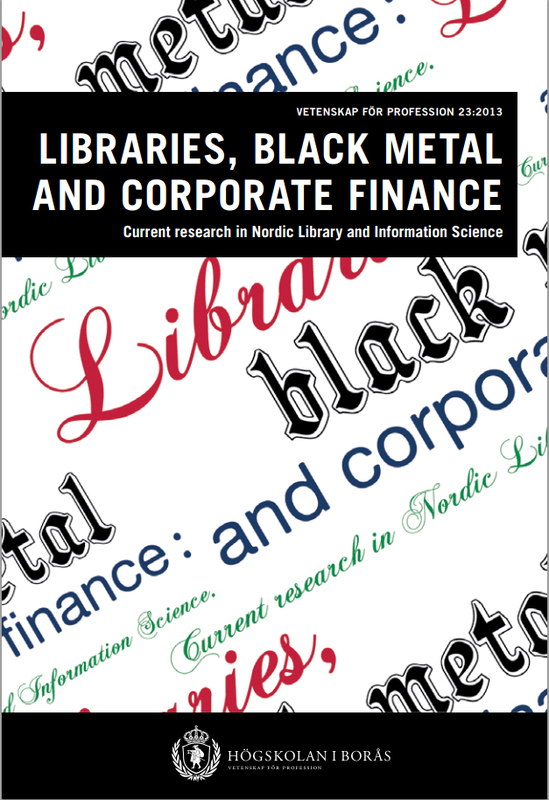 The whole report Libraries, black metal and corporate finance: Current research in Nordic Library and Information Science: Selected articles from the 40th anniversary conference of the Swedish School of Library and Information Science is available in BADA. This entry was posted in University's research by Forskningsrelaterat. Bookmark the permalink.